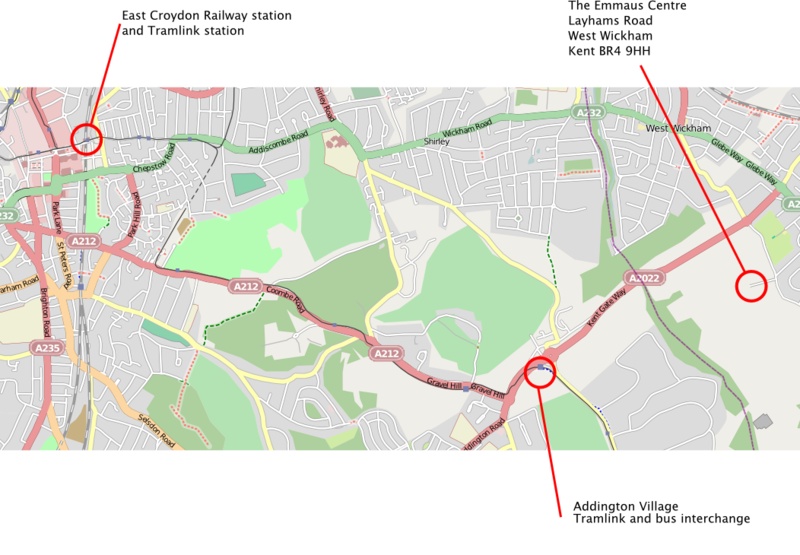 Take the bus route 119 towards Bromley North station. Get off the bus just after the bus turns left from Corkscrew Hill into Addington Road. Walk back to the roundabout and turn left into Layhams Road. The venue is on the right hand side. 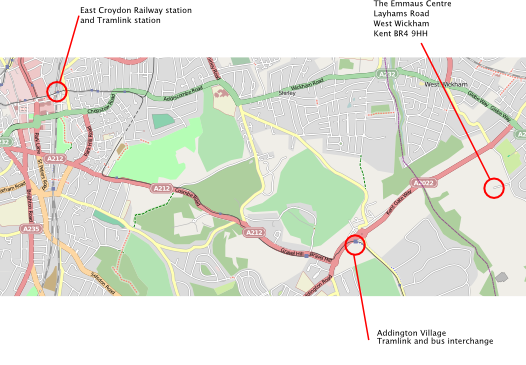 Take the Croydon Tramlink route 3 from East Croydon railway station. 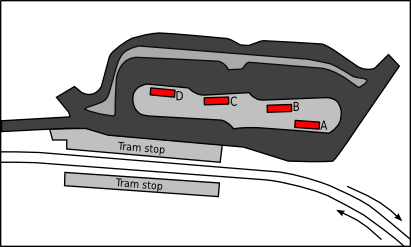 At Addington Village tram interchange, take the 314 bus from stop A towards Eltham, or the 353 from stop B towards Ramsden Estate. Get off on Addington Road, just after the junction with Layhams Road. The venue is on the right hand side after about 5–10 minutes' walk.